This year marks the 60th anniversary of the ascension to the British throne of Elizabeth Alexandra Mary Windsor, also known as Queen Elizabeth II. A long reign by any standard, our Queen is now the second longest-serving British monarch in history, bested only by the record of 63 years, 216 days set by her great-great-grandmother Victoria (1837–1901). 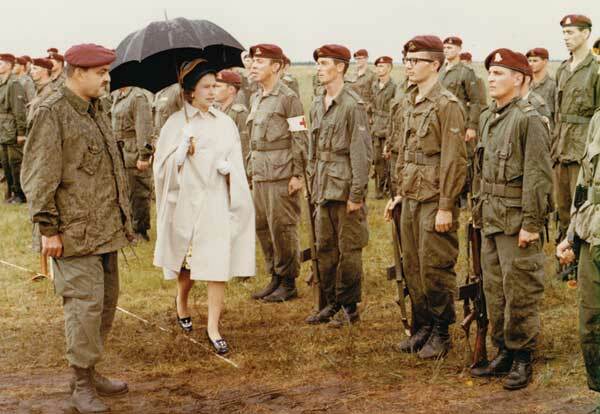 In commemoration of the Diamond Jubilee, this article summarizes some of the connections—it makes no claim to be comprehensive—between Her Majesty the Queen and Manitoba. Institutions wishing to have the word “Royal” in their names are evaluated by the Department of Canadian Heritage before a recommendation is made to the Governor General. The decision on whether the prefix is granted is ultimately made by the Queen. To be given the prefix, an institution must be: a) preeminent in its field, b) in a secure financial position, c) established for at least 25 years, d) devoted to artistic, scientific, charitable, or sport objectives, e) a non-profit organization under the Income Tax Act, and f) a provider of services on at least a regional basis. Institutions retain the prefix beyond the life of the monarch who conferred it. Founded in 1939 by British dancer/choreographers Gweneth Lloyd (1901-1993) and Betty Farrally (1915-1989), the Winnipeg Ballet would become Canada’s premier ballet company and, in time, the longest continuously operating ballet company in North America. 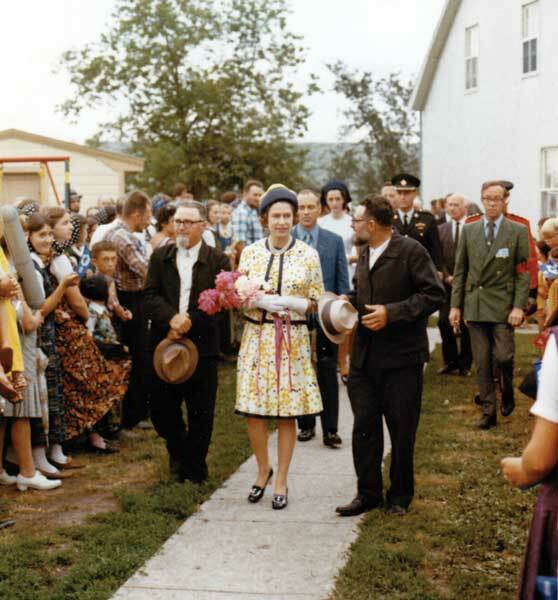 Source: Archives of Manitoba, 1970 Royal Visit Albums, C-70-1900. Source: Archives of Manitoba, 1970 Royal Visit Albums, C-70-1895. The latest two Royal visits to Manitoba have been of relative short duration. 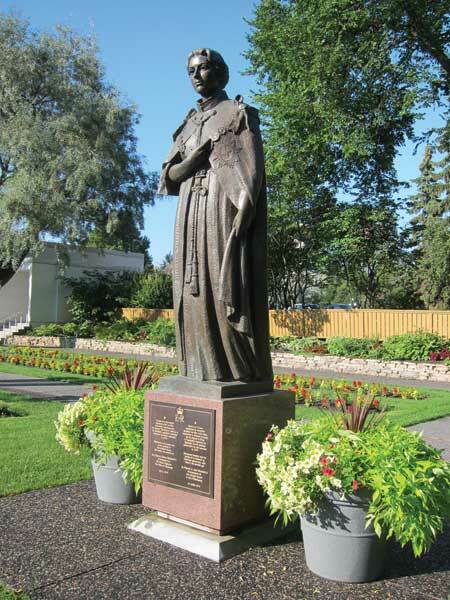 The Golden Jubilee visit occurred on 8-9 October 2002 with stops at several sites in Winnipeg: 17 Wing Winnipeg, The Forks, Minto Armoury, and the Legislative Building. In 2010, a brief but busy visit to Winnipeg on 3 July included Her Majesty being the first passenger to arrive at the new James A. Richardson International Airport. This visit also included the sealing of a time capsule addressed to the youth of the future. In addition, the Queen and the Duke of Edinburgh attended a luncheon at Government House, unveiled the cornerstone for the future Canadian Museum of Human Rights, and attended a multicultural concert at The Forks. Source: Archives of Manitoba, 1970 Royal Visit Albums, C-70-1896. There are several places in Manitoba whose name derives from a member of the Royal family but not necessarily Queen Elizabeth II. 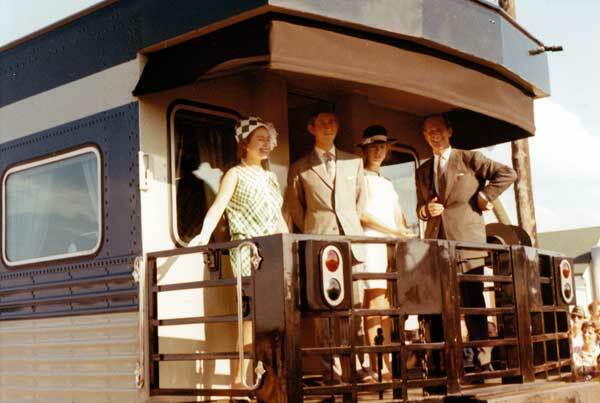 For example, Royal Road in Portage la Prairie (and probably other Royal Roads elsewhere in Manitoba) was named in 1939 during a visit by King George V and Queen Elizabeth I. Some structures named for the reigning monarch no longer exist or have been renamed. The Princess Elizabeth Hospital, opened in Winnipeg in 1950, is now part of the Riverview Health Centre. Princess Elizabeth Public School, opened at Shilo, Manitoba in 1951, was later closed and demolished in early 2011. Winnipeg’s Queen Elizabeth School, now a French immersion facility, was renamed École Henri-Bergeron in 1998. The Queen Elizabeth II Music Building is situated at Brandon University. A section of Main Street in Winnipeg was named Queen Elizabeth Way in commemoration of the 2002 Royal Visit. There is a Queen Elizabeth Avenue in Erickson, Manitoba. At notable milestones during the reign of Queen Elizabeth II, the Canadian federal government has given commemorative medals to students, members of the military, fire and police services, and others in recognition of their meritorious public service. Statistics on the number of Manitobans who have received these medals are incomplete, but several received the Coronation Medal in 1953, at least 959 received a Silver Jubilee Medal in 1977 and at least 1,672 received a Golden Jubilee Medal in 2002. (Lists of recipients are available on the MHS website.) This year, several Manitobans have already received the Diamond Jubilee Medal but a total will not be known until 2013. Queen Elizabeth II owns at least three paintings by Manitoba artist Wilfred Roy Corbett (1910-1997), two of which hang in Windsor Castle. 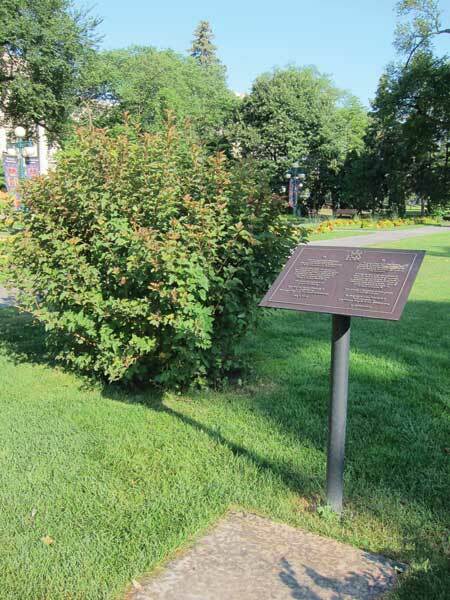 Do you know other connections between Queen Elizabeth II and Manitoba? If so, send email to the MHS Webmaster at webmaster@mhs.mb.ca and they will be added here.